So far I am impressed by the quality of the product, plus I used it to shoot videos for youtube for the 4th of July 2012. The family and I went to the Summerlin for the Parade and I shot some video of the show and took photos with my Sony Xperia Ion. I am fairly impressed so far. 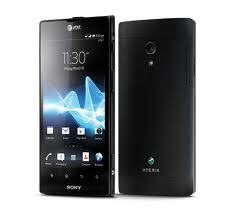 For more information on the Sony Xperia Ion Click below. I am looking forward to it having Android Jelly Bean or Ice Cream. I am surprised it did not come with any headphones in the box. Be the first to comment on "4th of July videos shot on my Sony Xperia Ion from At&t Summerlin Nevada Independence Day Parade"